"Success categorises you. Fortunately, I haven't had that much success." 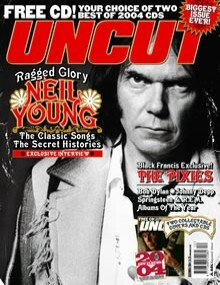 This is Neil Young, talking exclusively to Uncut and looking back on his extraordinary, turbulent career in a cover story that coincides with the release of his definitive Greatest Hits set - a 16 track compilation that ranges from 1969's "Down By the River" to 1992's "Harvest Moon". "The first thing an artist will do if he doesn't want to be categorised," Neil goes on, "is to react and fight back. There's a spirit inside you that's like an animal. And it's cornered when it's categorised. So we're not dealing with thought here. It's an animal reaction." For more from Neil and a complete track by track guide to his greatest hits and the stories behind them, look no further than this month's Uncut. And talking about artists who have serially refused to be categorised in their long and illustrious careers, we have also been swept away this month by Bob Dylan's Chronicles: Volume One, the long-awaited first instalment of Dylan's autobiography. And what a triumph it turns out to be! Don't miss Dylan scholar Nigel Williamson's definitive review. Elsewhere in this month's Uncut, we have another sensational exclusive - a rare interview with Frank Black, frontman of The Pixies, who triumphantly reformed in 2004, and we also talk to Hollywood gods Johnny Depp and Billy Bob Thornton and our critics vote for their albums of the year. All this, plus your choice of free CDs - the best of the year's new albums, featuring tracks from Brian Wilson, Tom Waits, Wilco, Bjork, Elliott Smith and more, or the best of the year's reissues, featuring Johnny Cash, John Martyn, pavement, The Go-Betweens and more.